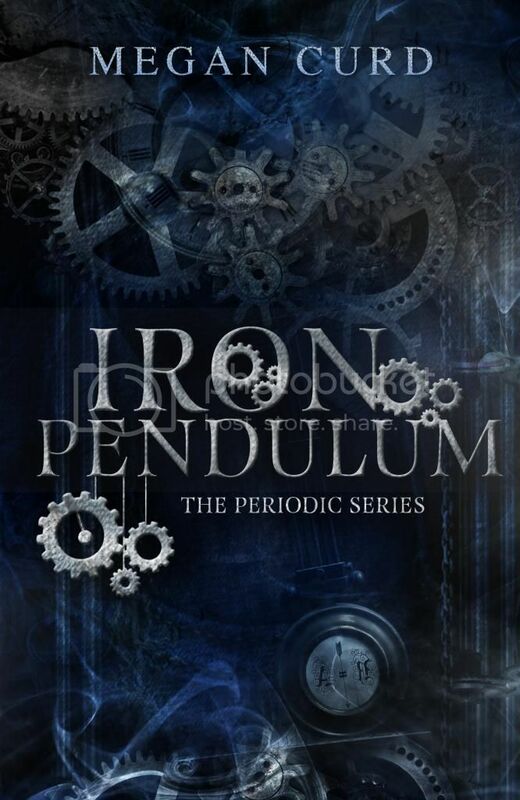 Hey guys and welcome to the blog tour hosted by InkSlinger PR for Megan Curd's Iron Pendulum, the second book in the Periodic series! I really enjoyed the first book, Steel Lily, and was part of that tour last year (read my review here). I'm very happy for the opportunity to be part of the tour once more! The following review is based on an eARC of the novel provided to me by the tour organizer in exchange for my honest opinion. The ending of Steel Lily left Avery at the alliance headquarters reunited with her father but grieving the death of her mother. The beginning of Iron Pendulum picks up soon after that, so there is no gap between the two installments of the series. Avery and her friends are scouting out some tunnels between headquarters and Dome four, her former home, when they are attacked by a bunch of Zeros. In case you don’t remember, the Zeros are victims of radiation set off in the war and have also been experimented on my Xander, who fashioned them into his personal army. They are irrational, aggressive, and basically like zombies without the undead part. There are also not supposed to be any new ones. 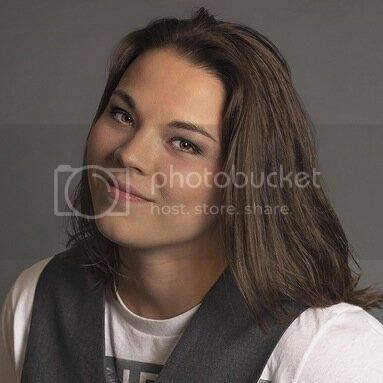 Problem is, Avery recognized one of the Zeros as a former member of her class in Dome four. What’s more, Xander sent a message – he knows they’re down in the tunnels. Something is clearly afoot in Dome four, so Avery, Jax, and Alice are going back in (bugged, of course) to figure out in how far it is under Xander’s influence and what governor Lindroth is planning. Avery had been gone for six months, and it quickly becomes obvious that the situation for people in the dome has gone from bad to worse during that time. Every day, people get sick, cough up blood, and die. Without Avery to provide most of the dome’s steam, the air filtration system had to be shut off more and more often, since the other Elementalists (among them her old nemesis Erin) cannot live up to her steam quota. Everyone, commoners and the governor alike, wants to know where she’s been, why she abandoned them to their fate. They are blaming her for their misery. The Polatzi forces violently break up mobs of protesters. And Avery definitely feels the pressure. The pressure to provide, to answer questions, to evade, to survive, to keep the secrets of the alliance safe despite threats to hurt her loved ones – and above all, the pressure to give people hope. That she’s smart-mouthed as ever and prone to cause riots does not always work to her advantage. I really have to commend Avery for her bravery and her spine of steel, even though she’s a bit impulsive at times and can’t stay out of trouble. She has to deal with so much injustice and loss (I’m thinking of one death in particular, plus the ending – how could you do this to me, Megan Curd?? )in this novel and she still gets up again and keeps going. I also enjoyed how despite some tensions that arise because Jax has to get close to evil Erin and Avery is supposed to weasel information out of Vince, the governor’s son, the relationship between Avery and Jax remains solid. They’re a team, they trust each other, they have each other’s back. So much unnecessary jealousy-drama could have been created from this situation, and I’m very glad that wasn’t the case! Also, the awesome snarky banter between Jax and Avery that I loved so much in Steel Lily is still there and sharp as ever! As for Jax himself, I really liked that we get to see another side to him in this novel. He’s not just all smartassery and mechanic genius. Because they’re staying with a friend of Avery’s who is taking care of a bunch of orphaned little children, he has to learn to be kind and take care of those weaker than him. I will never forget the image of ‘Prince Jax’ having an imaginary tea party with the little girls. And a tiara on his dreadlocks. As the days wear on and more people get sick despite Avery filling the steam canisters every day, questions arise. Why are the canisters empty every night when the steam should have lasted for a whole month? Where is that energy going? What’s the massive iron clock with its tick-tocking pendulum that now stands in the marketplace for? Is the governor just a power-hungry elitist, or is he in league with Xander? What’s up with all the Zeros in the Polatzi forces? Can Avery really count on the loyalty of all of her friends? The pace of this book is fast and doesn’t leave space for lulls in action or a moment of boredom. Despite that, character development is not overlooked and there are short moments of ‘normalcy’ for Avery and her friends before the dome goes to hell in a handbasket again. I also really liked the addition of Vince as a character and that we get to see a bit more of Sadie. That girl’s a hacker genius and they’d be screwed without her. One small complaint that I have is that I would have liked some more conversations and bonding between Avery and her father. They’ve been apart for so long, and I’d have liked to see them reconnect a bit more before Avery runs off to the dome again. Also, I’d have liked some more info about how the world came to be as it is, but I guess that will have to wait until the next book. Apart from that though, this book is an awesome, action-packed ride! The ending was unexpected, and there are a couple twists I really didn’t see coming, as well as characters not turning out to be who you thought they were. Iron Pendulum continues the blend between post-apocalyptic, sci-fi, and fantasy with a heavy dose of snark that won me over in Steel Lily. I can’t wait to see where the story goes next! “I love the smell of crusty military men in a sewage tunnel,” Jaxon said as he crouched, ready to take on the first one that arrived. Fire began to form in the palms of his hands—the element he’d been able to control since taking a vial of my blood—and it crackled ominously, sending sparks everywhere. His element was as unpredictable as he was, and he was learning to control it quickly. But he’d forgotten one little tidbit. We were standing in water, and I was a water Elementalist. Oh, he was going to be so mad when his minstrels sang songs about me. I focused all my energy on the rippling water around my ankles and felt a familiar zing of electricity in my limbs. The water bubbled, and there was a rumble behind us.